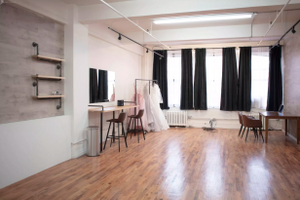 Manhattan, fully equipped with profoto lighting equipment, changing room and makeup area. We also feature a guest lounge with a sofa and bar table, which is perfect for models and clients to rest during the photo shoot. All equipment is included in the price listed. 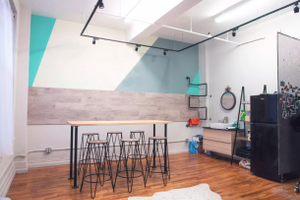 The studio is located near Penn station and Korean town. Within 5 mins walking distance, you can reach 1, 2, 3, N, Q, R, B, D, F, M, A, C, E subway stations and PATH train station.